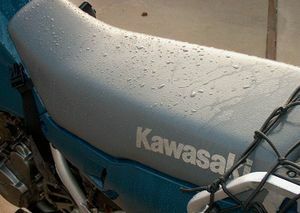 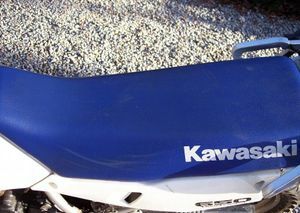 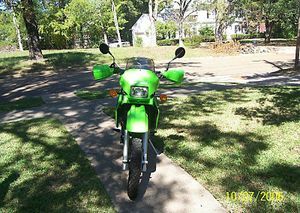 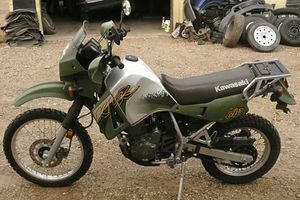 The Kawasaki KL650A is a motorcycle produced by Kawasaki from 1987 to 2007. 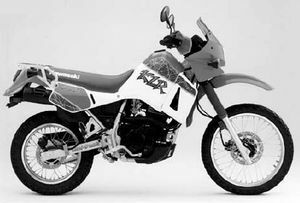 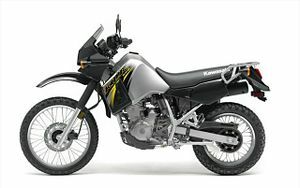 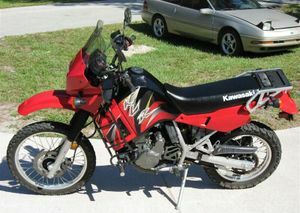 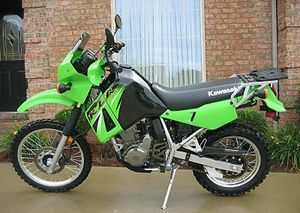 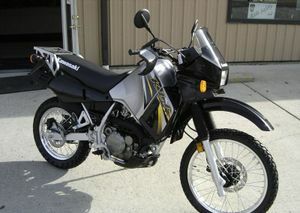 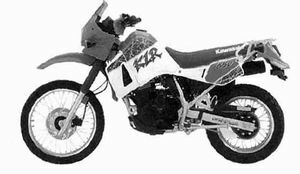 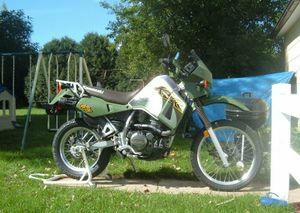 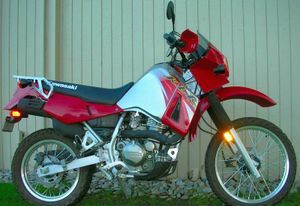 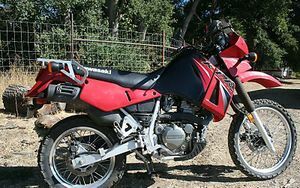 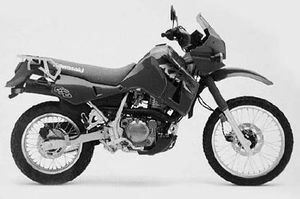 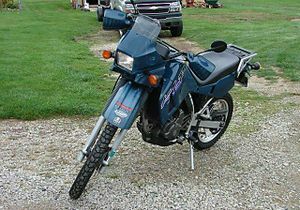 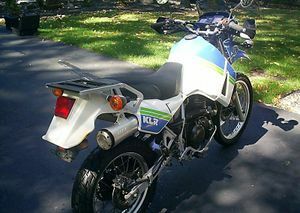 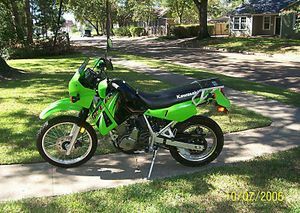 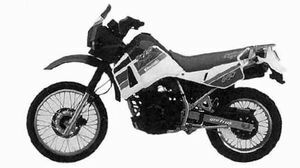 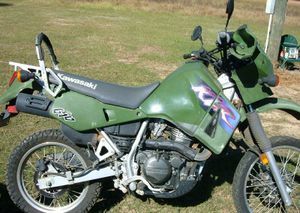 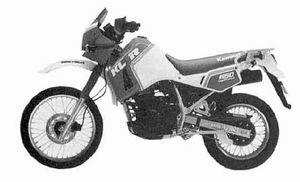 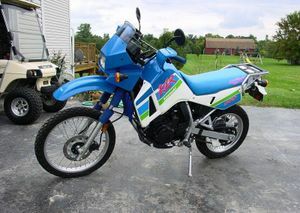 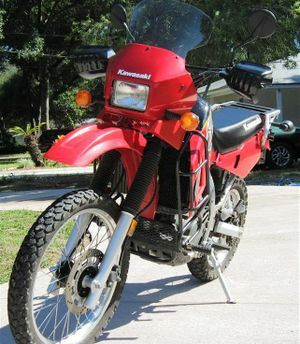 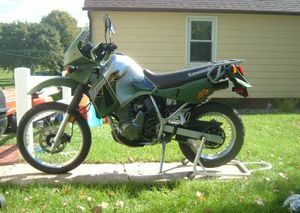 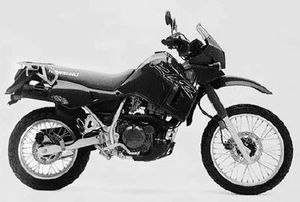 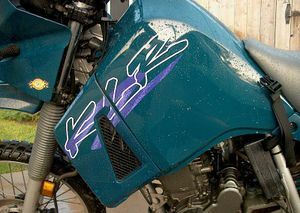 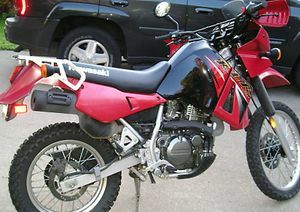 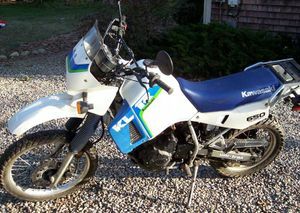 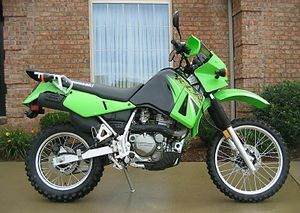 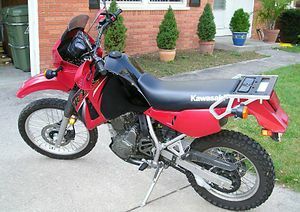 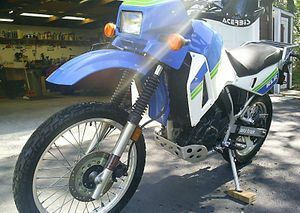 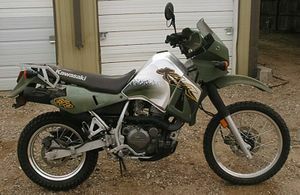 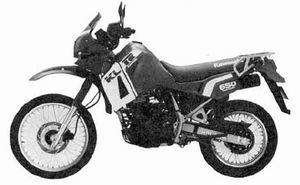 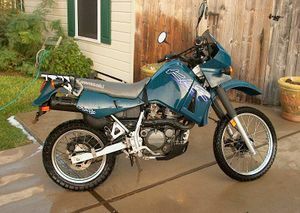 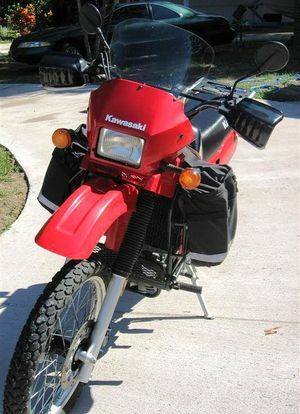 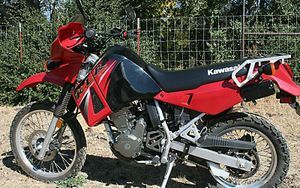 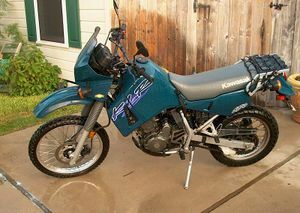 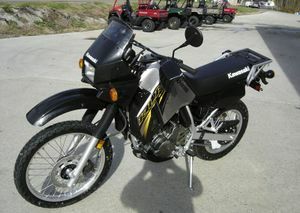 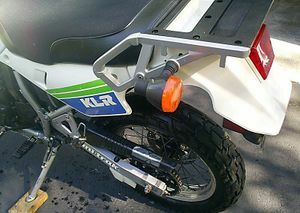 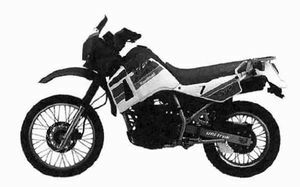 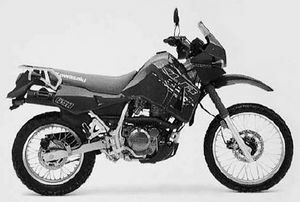 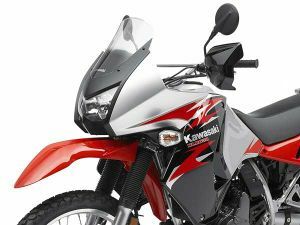 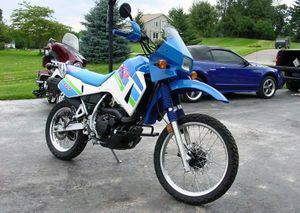 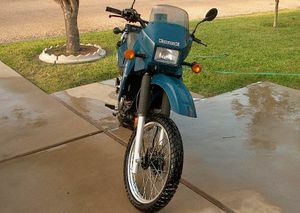 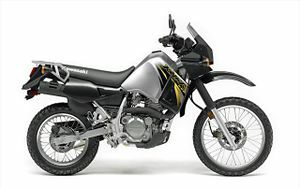 The Kawasaki KLR650 is a long standing model in Kawasaki's lineup, as it was introduced in 1987 and is almost unchanged as of 2005. 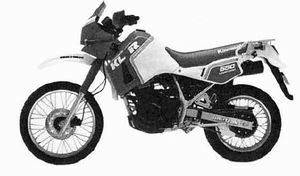 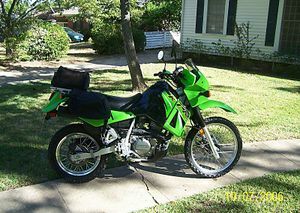 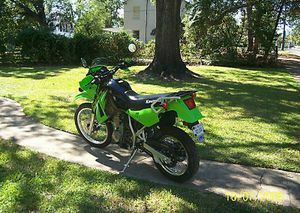 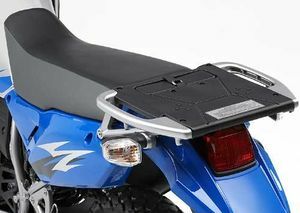 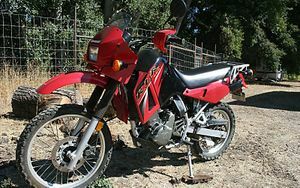 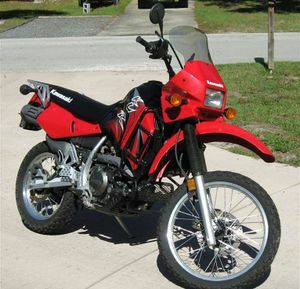 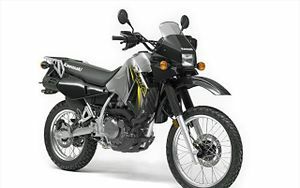 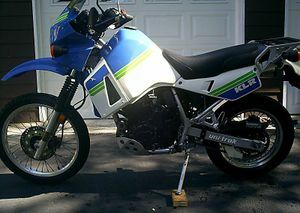 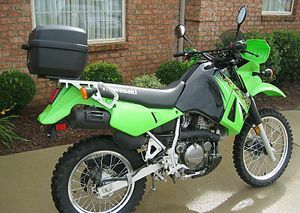 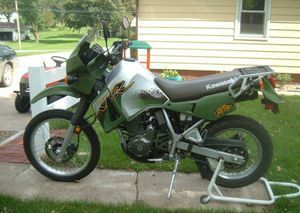 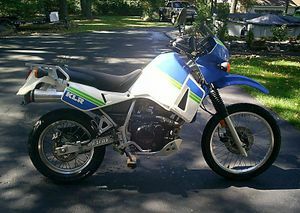 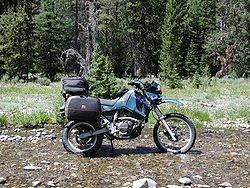 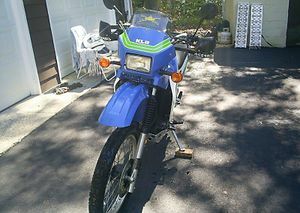 The KLR is a dual-sport motorcycle intended for use on both paved and unpaved roads. 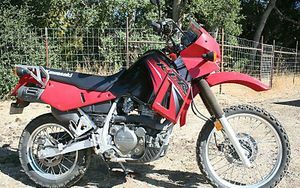 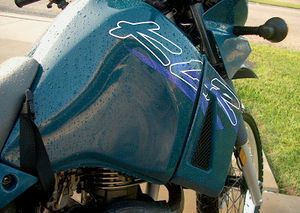 This motorcycle is heavier than specialized off-road dirt bikes, but it can handle most conditions when ridden carefully. 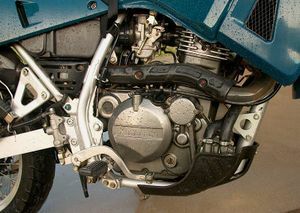 Its counterbalanced, single-cylinder, water-cooled engine develops 44 peak bhp and can maintain speeds in excess of 80 mph (130 km/h). 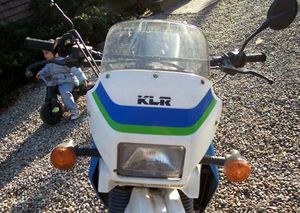 Typical fuel economy is 50 to 60 miles per U.S. gallon (3.9 to 4.7 L/100 km). 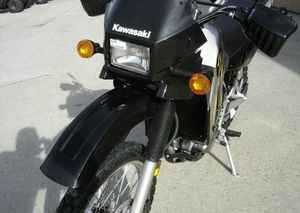 It has a 6.1 gallon (23 litre) fuel tank and a top speed of over 100 mph (160 km/h). 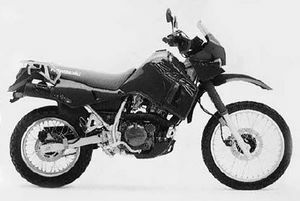 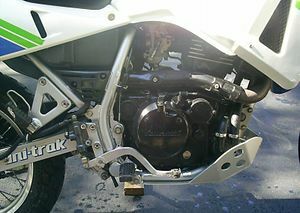 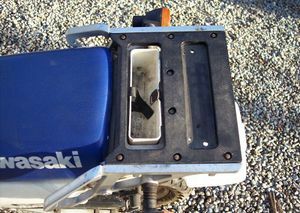 This motorcycle is commonly described as being useful for all types of motorcycling, without being particularly good at any of them. 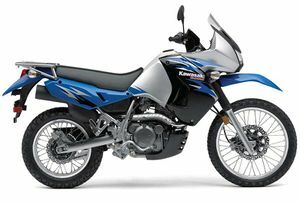 Many owners regard the KLR as an inexpensive touring bike, adding saddle bags and modifications to make it more comfortable on long trips. 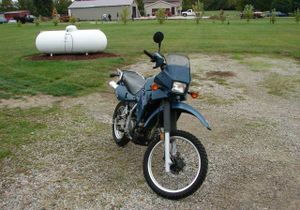 Note: Actual gas tank capacity is approximately 5.5 gallons including reserve. 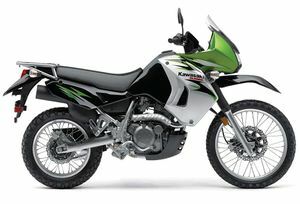 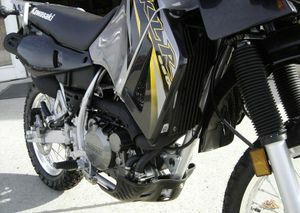 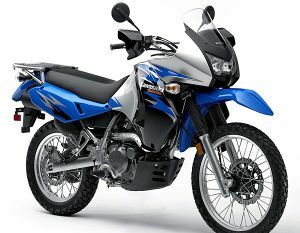 KLR650-E: Major body style and functional upgrade. 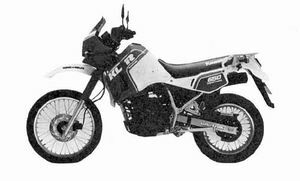 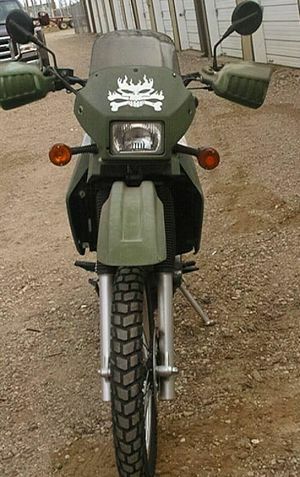 A special diesel version of the KLR650 is supplied to the United States Marine Corps. 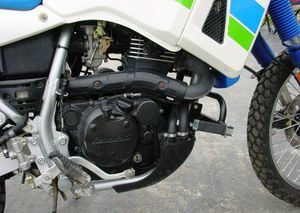 Front: 21 in. 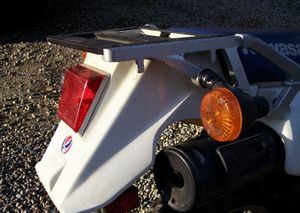 Rear: 17 in. 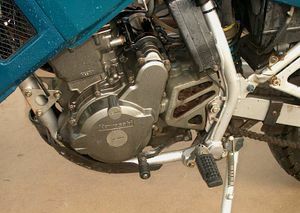 Front: 1 disc, 1 piston caliper; Rear: 1 disc, 1 piston caliper.